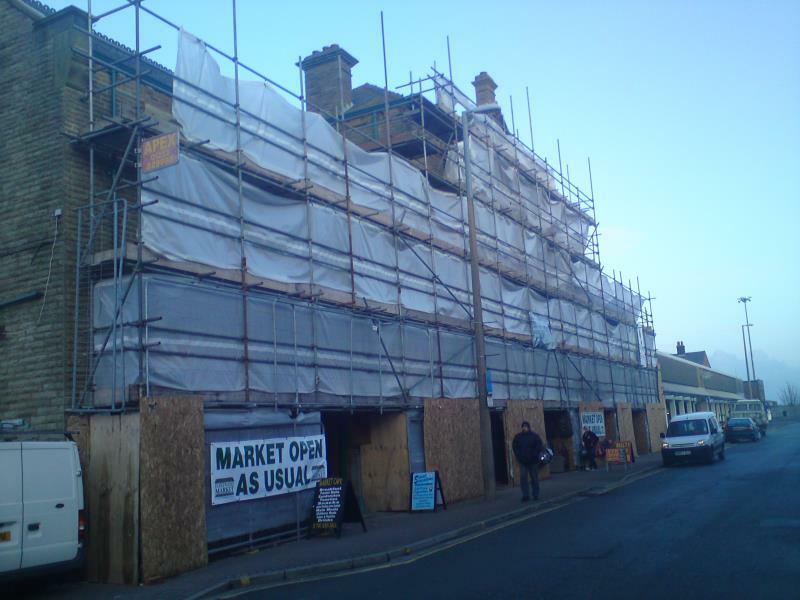 Looking for scaffolding to protect a structure from collapse whilst construction or repairs continue? Apex Scaffolding have over 25 years of support work and shoring up experience. We have a highly Trained and Accredited Workforce to meet your needs. Whether it be coping with a subsiding property, holding a building following fire damage or during demolition, supporting a listed facade from collapse whilst a modern interior is being constructed onto it or something more unusual. Where your need is urgent, we also provide Emergency Scaffolding services. Call us now for a fast response. Queens Hotel, Blackpool - Cavity wall ties corroded by salt air, causing the front facade to buckle. Provided support to wall, whilst new wall ties were fitted and outer skin was replaced. To enquire about our shoring and support work, please email or give us a call.